For use with Shimano Deore XT FC-M780 10spd Triple Chainsets. What is the difference between type A (Y1MM98090) and Type B (Y1MM98120)? Both descriptions say for use on a triple crankset but there must be a difference. The B-Type chainring for this chainset doesn't have a recess around the bolt hole unlike the A-Type so the chainring bolt design in slightly different & given a different Shimano part code. I hope this helps. I have an unused Shimano FC-M780 crankset. 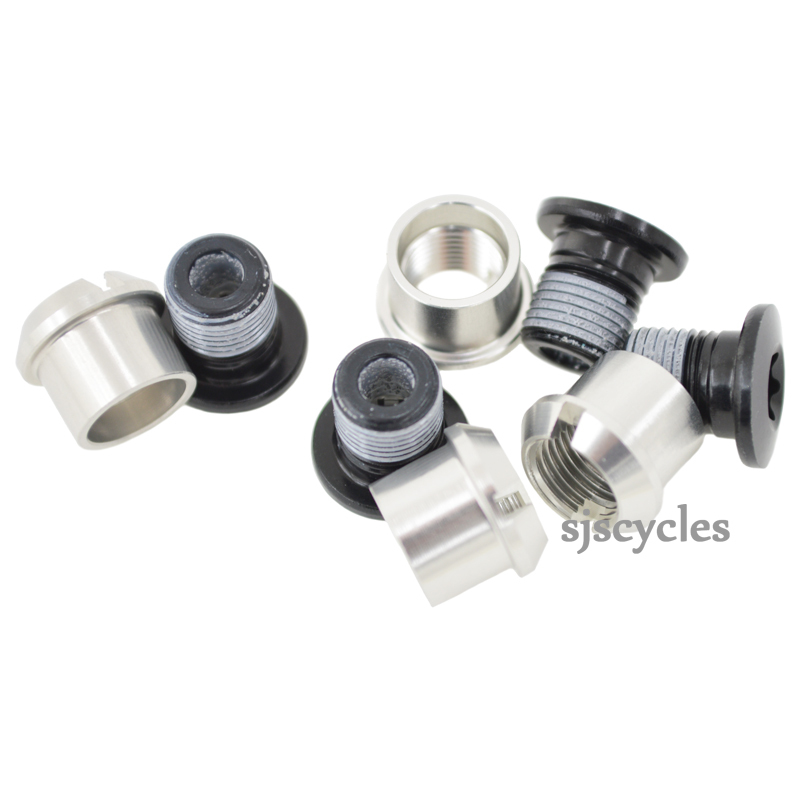 My intent is to set it up for 9 speed use, preferably with TA Chinook rings (SJS Cycles part nos. 3055T24, 16605S32, 16608S44). What is your general advice (esp. regarding the chainring width)? Are these the right bolts? Which bolts would be needed for the inner ring? We have not tried or tested this set up, we could not advise to the correct bolts etc.